Six former Cobbetts partners have been fined by the Solicitors Disciplinary Tribunal (SDT) after an admission of failings relating to the firm’s high-profile collapse in 2013. 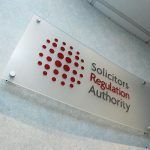 Six former Cobbetts lawyers, including former managing partner Nicholas Carr and senior partner Stephen Benson, have been referred to the Solicitors Disciplinary Tribunal (SDT) by the Solicitors Regulation Authority (SRA) following the Manchester firm’s collapse in 2013. Having previously pursued a merger with the now defunct Cobbetts (as it turned out, a lucky reprieve), Pannone’s current discussions with Australian-listed Slater & Gordon (S&G) are seeing talks over which parts of the Manchester-based firm’s diverse business will be included in any deal. 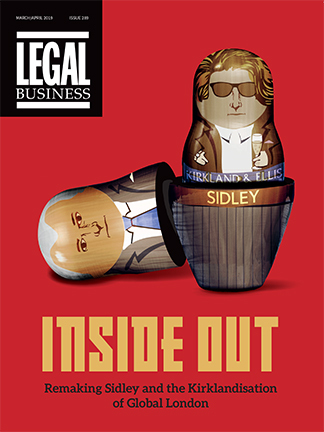 With the firm effectively split into four limbs: its commercial arm; the private client, clinical negligence and personal injury business; its white label service Affinity; and Connect2Law network, discussions are ongoing as to whether the latter two divisions fit with S&G’s model. 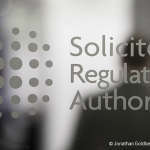 The Solicitors Regulation Authority (SRA) has begun an evaluation of financial data gathered from 2,000 law firms after warning earlier this summer that an increasing number of the UK’s 11,000 law firms face financial collapse due to a ‘toxic combination of factors causing a perfect storm’. Elsewhere, the latest report from KPMG reveals the total bill for winding down Cobbetts currently stands at nearly £1.7m. DWF acquired Cobbetts’ work in progress (WIP) from KPMG in February for £3.8m as details emerge of the Manchester firm’s fire sale. KPMG was instructed on 17 January to start administration proceedings, although Cobbetts’ lender, Lloyds TSB, had engaged KPMG in September to formulate contingency plans as the firm was beginning to falter. Continued trading was dependent on the support of Lloyds TSB, which was only prepared to provide monies to pay January wages and other outgoings if Cobbetts granted security. Following its acquisition of Cobbetts, DWF has laid off 38 staff from its central services support team following a consultation which ended last Friday (22 March). DWF initially placed 140 staff under redundancy risk but 83 have now been placed into roles and 21 are still in the selection process. The firm said the move was ‘inevitable with an acquisition of this size and nature’ and that ‘there was an element of overlap of roles’. DWF is set to acquire Cobbetts in a pre-pack deal, after the struggling Manchester-based firm called in administrators KPMG last month. The top 40 UK firm announced its intentions to acquire Cobbetts almost a year after merger attempts by the two firms failed. At the time, a joint statement said talks had finished because of ‘continuing uncertain market conditions’. Under the agreement, DWF will take on 419 staff, including partners, from the fallen firm in Leeds, Manchester, London and Birmingham. The DWF deal does not include Cobbetts’ debt recovery team, Incasso, while Walker Morris has taken the firm’s 24-strong financial litigation team.